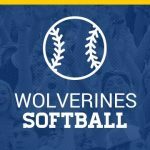 The Softball scrimmages against Mid-Carolina have been cancelled. 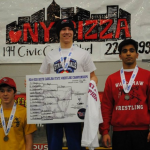 Boys Middle School Wrestling, Boys Varsity Wrestling · Mar 2 State Champion! 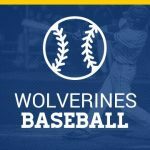 The Varsity Baseball Scrimmage against Saluda for February 25th has been cancelled. The Varsity is set to compete in the On Deck Classic Pre-Season Tournament beginning on Saturday, February 27th. Check back for weather-related changes. 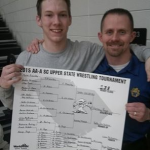 Congratulations to Kenny Page for winning the 2A-1A Upper State Individual Championship for the 138 lb. weight class. Kenny will compete for the 138 lb. state championship on February 27th and 28th at the Anderson Civic Center. Wrestling begins Friday at 5:30 pm and Saturday at 9:00 am. 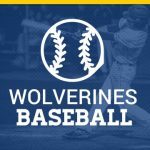 The Varsity scrimmages that was set for Monday (February 23rd) has been cancelled. Also, the Varsity scrimmage at Saluda that was set for February 25th will now be at Legends Stadium in Whitmire beginning at 5:00. Come out an support your Wolverines. The Varsity Girls Basketball Playoff game at Christ Church has been rescheduled for Wednesday at 6:00. 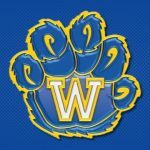 The Varsity Baseball scrimmage against Wagener-Salley has been cancelled. 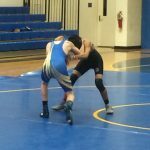 The Wrestling team will be travelling to Liberty High School on February 20-21 to compete in the 2A/1A Upper State Individual Tournament. Any wrestler finishing in the top 4 of their weight class will qualify for the individual State Championship Tournament.